The Boxing Truth®: What’s Next For Shawn Porter? 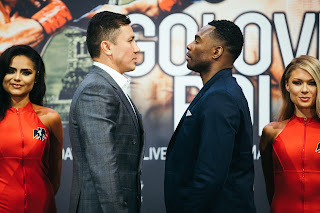 On June 20th the Boxing world focused it’s attention on the MGM Grand in Las Vegas, Nevada where former world champions Shawn Porter and Adrien Broner met in a highly anticipated Welterweight bout. What made this bout intriguing beyond it being a clash of former world champions was that the winner would likely find himself in a good position to potentially challenge for a world championship in the talent deep Welterweight division. Prior to this bout this observer stated that in my opinion it would be a battle of Broner’s solid defense and ability to be accurate with his offense versus Porter’s ability to be aggressive and offensive minded. The key for Porter in my eyes was whether he could establish a fast pace, apply consistent pressure on Broner early on in the fight, and maintain that pace as the fight progressed. Many of the rounds in this twelve round bout seemed to follow a similar pattern. It was a tactical battle that was fought at a very fast pace. Both fighters were able to have periods of effectiveness throughout the fight, but the main difference was Shawn Porter’s ability to consistently force the action and execute his offense in spurts as he came forward. This fight also had periods where it was ugly due to clinching and holding on the inside between the two fighters. What impressed me about Porter’s performance as this fight progressed was his ability to use head movement to make Broner miss and get on the inside. Porter was also very effective in consistently pushing Broner back and being able to keep Broner on the defensive. Porter’s ability to outwork and neutralize Broner’s offensive output was the story of this fight. Porter was able to overcome a knockdown in the twelfth and final round to earn a lopsided unanimous decision. Prior to this fight I stated that it would not have surprised me if this fight were to end in a close decision where there could be a healthy difference of opinion as to who won the fight. Although this fight was fought ugly at times due to the holding and clinching that took place throughout, the bout did not end up being as close as this observer thought it might have been. Shawn Porter was simply able to be effective in his aggression, execute his offense in spurts and nullify a fighter who may not overwhelm his opponents with offense, but is known for being extremely accurate with the punches that he throws. In this observer’s eyes Shawn Porter fought as close to a perfect fight as possible and was able to show his resilience by getting up from a knockdown in the final round to win the fight. Off of what was an impressive performance the question is what is next for Shawn Porter? It will be interesting to see where Porter will figure into the equation along with the rest of the Welterweight and Jr. Middleweight divisions as both weight classes are more or less waiting to see whether Floyd Mayweather will relinquish the world championships he currently holds in both divisions as he announced following his victory over Manny Pacquiao on May 2nd. Whether or not Porter’s victory over Broner will enter him into discussion of potential opponents for Floyd Mayweather’s next fight in September, which could be Mayweather’s final fight remains to be seen. If Porter is not in the running for a possible showdown with Mayweather there are a couple of interesting options that may be available to him. One such option might be a fight against former world champion Robert Guerrero. Stylistically, a bout between Porter and Guerrero has action written all over it and is the kind of fight that would garner the attention of both Boxing fans and experts alike. Guerrero was given all he could handle earlier this month in his fight against Aron Martinez and one might argue that a fight against Porter would offer Guerrero an opportunity to elevate himself in the respective Welterweight rankings of the sport’s respective sanctioning organizations should he be successful against Porter. For Porter, a fight against Guerrero would offer a chance to continue building momentum toward another opportunity at a world championship. The win over Broner earned Porter his second victory since losing the IBF Welterweight world championship to Kell Brook in August of last year. If Porter is looking to continue building momentum for a possible title shot down the line, a fight against Guerrero would be a logical option, in this observer’s opinion. One should not however, dismiss the possibility that Porter could potentially seek a rematch against Brook. Their fight was after all extremely close, could have gone either way and had the ingredients that warrant a second encounter. No matter who Shawn Porter fights next it is clear that he belongs in the discussion of the top fighters in the Welterweight division. Whether or not Porter finds himself in line to challenge for what would be his second world title remains to be seen. It would not surprise this observer however, if Porter were to remain a focal point of the Welterweight division for years to come.